Claudine Gay assumed the deanship of the Faculty of Arts and Sciences six weeks ago. 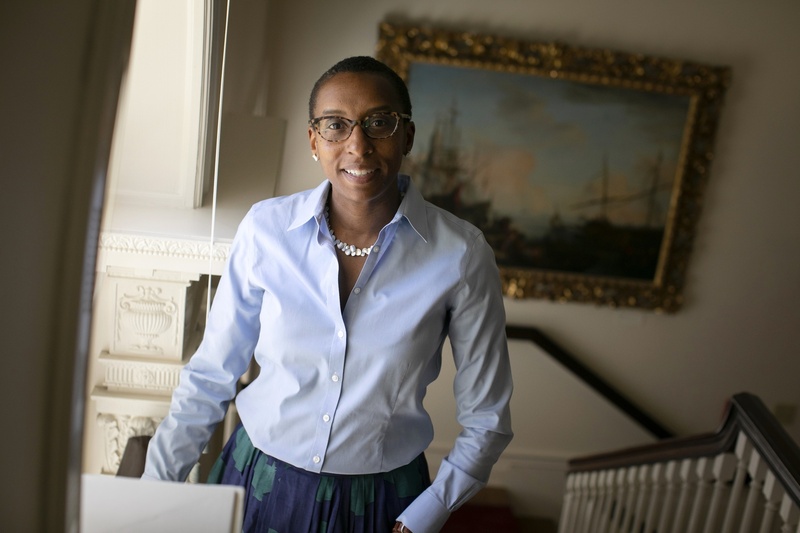 Since assuming the deanship of Harvard’s flagship faculty, Claudine Gay has visited biology labs filled with contaminated materials, released a comprehensive annual report of the University’s largest unit, and started planning a party for the entire faculty — all in just the first six weeks since she’s taken office. Gay, who had previously served as dean of social science, took office on Aug. 15, replacing Michael D. Smith who served for 11 years as dean of the Faculty of Arts and Sciences. Smith announced in March that he planned to resign as soon as recently appointed University President Lawrence S. Bacow found his replacement. As FAS dean, Gay oversees more than 700 faculty members, including professors at the College, the Graduate School of Arts and Sciences, the School of Engineering and Applied Sciences, and the Division of Continuing Education. She is the first woman and the first person of color to hold the position. Gay said that she spent much of her first few weeks walking around FAS and talking to different people. “My motivation has been, if I can understand the people and where they're coming from, and what their aspirations are, that my priorities will kind of emerge organically out of those conversations,” Gay said. These conversations have ranged in topic from surface archaeology to the mathematical formula that describes tying a ribbon around a donut, she said. One of her conversations brought Gay to the Chemistry and Chemical Biology Department, where she toured the lab of a faculty member, who warned her not to touch anything at the start of their meeting. Beyond the lab, however, Gay said she’s embraced the freedom of dropping in to learn about people across FAS and their work in her new role. “I'm being exposed to all sorts of pockets of energy and innovation that I didn't know existed and yet they're really important to contribute to what is overall really vibrant on campus,” Gay said. Gay praised her predecessor, Smith, and said she thinks they are both “data-driven” in their decision making processes. Gay also added that through her years of working with Smith, she’s learned from him to recognize the pros and cons in every decision. Like Smith, Gay intends to continue developing the tenure track and providing support for junior faculty members. Although Gay said she shares many similarities with Smith, she was also quick to point out a key difference — her appreciation for parties. As the former dean of social science, Gay would throw semesterly parties for all the faculty members in the division, which she said she always loved doing. Gay said she hopes to plan a party for all the faculty members in the spring.